The life of mountain dwellers is vastly different from one we lead in the city and is worth having a look at. 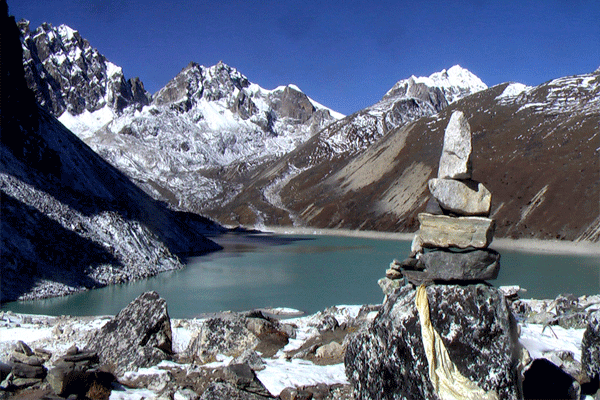 To look into the heart of the villages of these people we offer an exceptional 8 days trek featuring a wide range of spectacular scenery combined with unique cultural encounters with the Sherpa people who inhabit these high altitude regions. The journey begins in the medieval city of Kathmandu, from where a short flight to the beautiful village of Lukla (2800m) will drop us to the heart of the Solu Khumbu region. The trek continues through the lush vegetation of Sagarmatha National Park, with pine forests, rhododendron flowers and an abundance of wildlife, to Namche Bazaar (3440m). A day of rest is necessary in Namche in order to get acclimatized to higher altitudes. The following days trekking will bring us to the village of Tengboche (3930m), home to the highest Buddhist monastery in the world (4100m) and also reputed by photographers as one of the best places to capture the awesome beauty of Mt. Everest (8848m) and its neighboring peaks. The concluding days of this adventure will be spent in the delightful and scenic villages of Khunde (3500m) and Khumjung, where we will have the opportunity to interact with the legendary Sherpa people and participate in their astonishing traditional lifestyle. Back down to Lukla from where we will take a short flight back to Kathmandu, enjoying the last views of the awe-inspiring Himalayan range and its people. Fly to Lukla (2804 meters) trek to Phakding (2610 meters) 3 hours. From Phakding the trail follows the Dudh Koshi River and reaches Zamphuti. From there we can see excellent views of Thamserku peak. Then the trail climbs to Chomoa, the site of an agricultural project, an interesting place to have a look around and gain an insight into the farming way of life of these people. From Chomoa, the trail again climbs to Monjo (2840m.) and enters the Sagarmatha (Everest) National Park (1148 sq km, established in 1976). Walking some distance uphill you will be at Jorsale (2830m.) and after a long climb with views of Mt. Everest peeking over the ridge of Nuptse (7879m.) the trail reaches the street of Namche Bazaar. Stay at Guest house- Lunch, Dinner and Breakfast. Overnight hotel at Namche Bazaar. Trek to Tengboche Monastery (3860 m.) 5 hours. Today is free day, so, we visit around Tengboche. From Tengboche we observe the awesome beauty of Mt. Everest (8848 m.) and its neighboring peaks Like Ama Dablam, Lhotse, Nuptse etc. Tengboche also boasts famous Tengboche Monastery. We explore the monastery and interact with the monks there. We can also observe their Mani Rimdu dance in the Monastery. Alfresco adventure Travel works closely with Pioneer Foundation Nepal, a non-political and non-profit social organization. It is established with an aim of contributing for the up liftmen of marginalized, backward and impoverished communities and individuals. We plan to run various programs in education, health, environment and sanitation and livelihood to transform the lives of the suppressed people for better through donation, sponsorship and partnership in various projects. One of the major activities of Pioneer Foundation Nepal is the children sponsorship program, which is conducted with full collaboration with Alfresco Adventure. The Volunteer Program, conducted by Alfresco Adventure and Pioneer Foundation Nepal, aims to mobilize teams of experts and interested individuals as an effective and economic measure in providing the human capital for education, health and community development in Dahachok Kathmandu, Sano Bharyang Kathmandu and Rameshowry Ma Vi, Bungkot. Gorkha. How difficult is the Everest view Trek? In terms of terrain, there are no ropes needed and no ice picks needed. There is no vertical climbing involved. The trail is rough, rocky and gravel-strewn. Most of the trek involves long paths that go up and then down. People with weak ankles should take caution. Depending on the time of year you go there can also be snow and ice in the trails. Use caution or seek the expertise of our guide. How fit do I need to be to go trekking to Everest view trek?? An average level of fitness is required. For trekking to Everest view trek? In Nepal, you'll need to consider the number of days you'll be out trekking. Most days include 4-7 hours of slow hiking. Altitude is not the biggest problem for this trek but there are a lot of up and down with many stone steps. 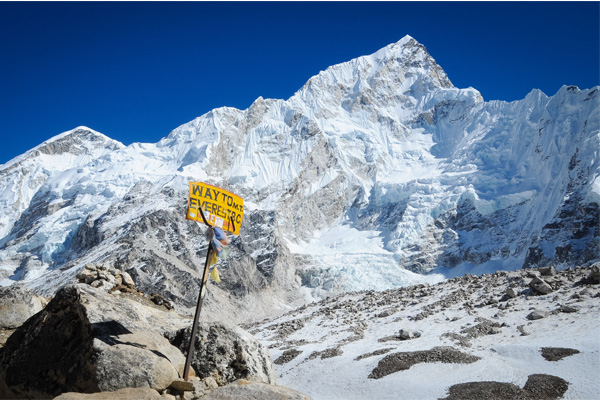 Many people from all walks of life, ages and fitness levels have trekked to Everest Base Camp and it is one of the popular treks in Nepal as well as globally. Can my children go on the Everest view trek? Yes, your Children can do it but make sure they have enough walking experience. What if I am a solo traveler? Is there a supplemental for singles? No problem. Many of our customers are traveling solo. It may also be an option to join a small group or another solo traveler, let us know if this interest you. Yes, there is a supplemental cost if you are traveling alone. When should I go to Everest view? Trek?, which is the best season for trek to Everest view trek??? However, the following months have traditionally been used as a guide for preferred times of the year to visit. 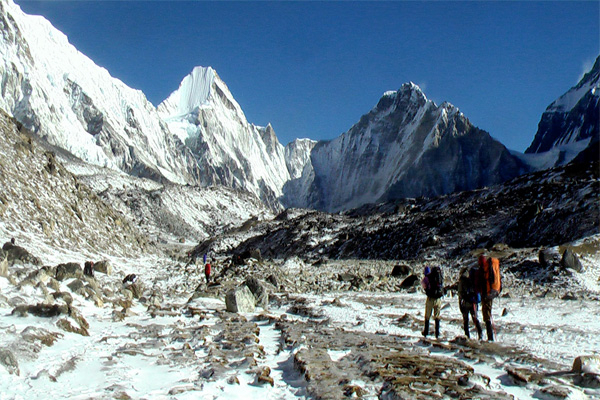 October - November/December: this is Nepal's peak and the best time to go trekking. February-March-April: this is the end of the dry season and the another best time of year to go trekking. November/December to January/February: the skies are clear but it can get very cold. May - June: This is Nepal's hot season and it can get very warm indeed. What equipment do I need to go trekking to Everest view Trek?